The enemy was conversely preparing to treat the Eastern Front as a secondary theatre in 1916, and there were disagreements between the General Staffs of the Austro-Hungarian and German armies as to the relative importance of the Western Front and Italian Theatre. Arguments about troop levels in the various theatres led to a disjointed war effort. Intended to bleed French forces, neither offensive achieved their objectives though both hampered Allied operations and impacted the timing of same. A Russian offensive began on 4 June 1916, and four armies attacked on a three hundred mile front ranging from the Romanian border to the Pripet Marshes, resulting in their greatest contribution to the Allied cause for the entire war. Five Austrian armies were driven back between 20 and 30 miles and 450,000 prisoners were taken along with over 400 guns. Intelligence reports at the end of May 1916 showed an Allied numerical superiority on all fronts of over 100 divisions, broken down as above. 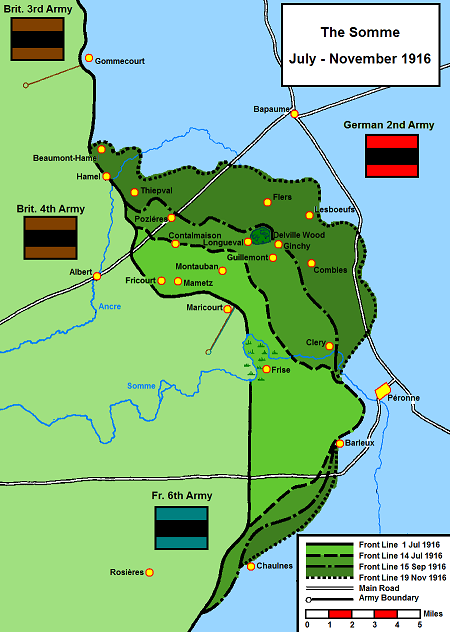 In terms of battalions, the superiority may have appeared greater as Russian divisions had sixteen compared to the German nine, though again the interior lines enjoyed by German and Austrian forces permitted them to redeploy and concentrate much faster, and German and Austrian forces were able to inter-operate much better due to their homogeneity. The 1st Canadian Tunnelling Company warned the 7th Battalion of a German mine about to be blown under The Bluff on 25 July and the battalion seized the crater before the enemy could take capture it. A trench raid on 29 July by the 19th Battalion killed or wounded approximately 50 W�rttembergers. Surprise was the key to success in raids. On 12 August a German company-strength attack on Hill 60 was pushed back by the 60th Battalion, holding trenches on Hill 60. Other changes in weaponry in the Canadian Corps included the adoption of the 3-inch Stokes mortar, replacing 3.4-inch and 4-inch weapons in the light trench mortar batteries which were reorganized. The U.S. manufactured Colt machine gun that had been on inventory since the first Canadians landed in France was replaced by the Vickers Gun which was becoming available in quantity from British sources. As units withdrew into reserve the emphasis was on more advanced training, with new techniques being practised. Demonstrations in artillery-infantry cooperation showed how closely the barrage could be followed without incurring unnecessary casualties. This was the period when cooperation between the air and infantry at last reached a practical stage. There were exercises with the Royal Flying Corps* based on the newly adopted system of "contact patrol". The attacking infantry carried flares, mirrors and special signalling panels, and as they advanced they signalled their positions to aircraft assigned solely to tactical observation. The information thus received was then dropped at formation headquarters or sent back by wireless. The Battle of the Somme marked a turning point in the First World War for armies on both sides of the line in many respects. Not only was it the mid-point of the war in purely chronological terms, beginning 23 months from the start of the war, and ending 24 months from the end of the war, but it also saw a shift in initiative as the British and other Empire troops gained experience and expertise in offensive actions, learning from each operation and incorporating new methods, tactics and equipment. 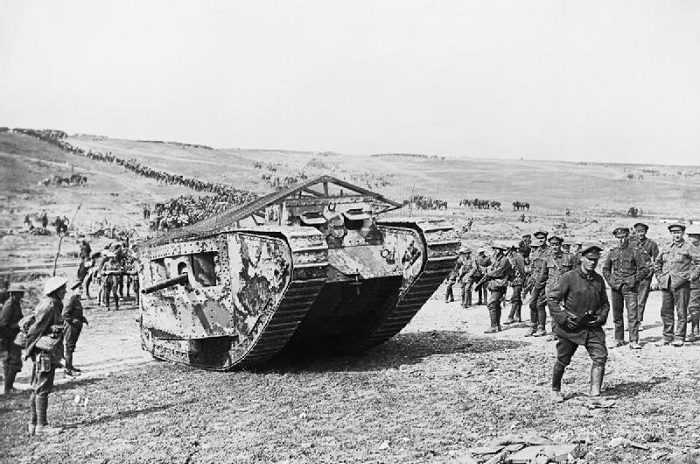 The first day of the Somme marked the low point of the British Army for the war but from the battle came a steady stream of technological and tactical advances that created a competent and effective army schooled in new ways of doing battle, with the Canadian Corps numbering among its finest practitioners. The Germans, too, learned new defensive methods and doctrines which made their armies more efficient but ensured the war would last even longer. There was also the hope that critics of Allied strategy in the west, who advocated for offensives in more distant theatres, might be silenced by a successful offensive on the Western Front. Haig found himself still subordinate to Joffre as to deciding the time and place of the offensive and though he preferred the Messines area, Joffre was determined to have action in the Somme despite more limited strategic possibilities. The region offered the only junction of French and British forces. The Somme River flows west, between Peronne and Amiens through a broad valley. To the south lay flat country and to the north rolling chalk downs with numerous streams and occasional smaller streams. 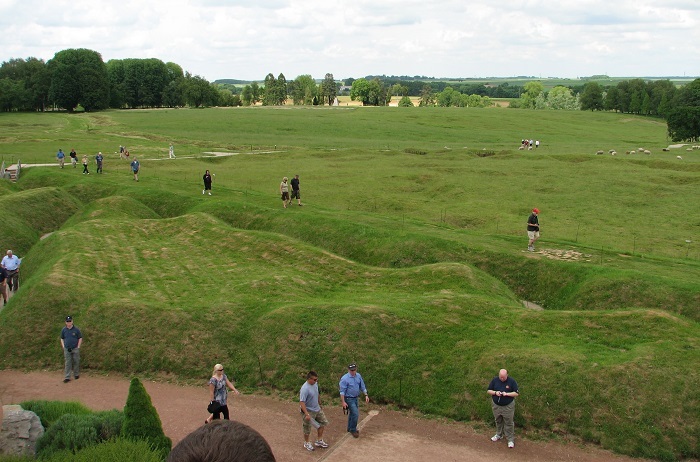 The most prominent terrain feature on the battlefield was the Pozi�res ridge, a low feature running over eight miles from Thiepval-Ginchy-Morval, in places 500 feet above sea level. It dominated the uplands to the north and east and formed the watershed between the Somme River and the Ancre River, tributary of the Somme. The village of Pozi�res, from which the ridge received its name, lay on the highest part of the crest along the Amiens-Cambrai road. Throughout the battle area there were few obstacles to the movement of troops other than a few wooded areas and the marshlands associated with the Somme and Ancre Rivers. At the end of June 1916 the front line in the Somme sector ran south from Gommecourt, across the Amiens-Cambrai road, then three miles south it turned east for three miles to skirt the southern slopes of the Thiepval-Morval ridge before turning south again to loop through the flood-bed of the Somme near Maricourt. The Germans were still using a rigid defensive strategy in accordance with General Falkenhayn's instructions. Front positions wee strongly garrisoned with the bulk of front-line regiments (the equivalent of British and Canadian brigades) within 1,000 yards of No Man's Land. In July 1916 it was customary for a front-line German regiment to have two battalions in the first trench system, with a third battalion divided between intermediate strongpoints, and a Second Position. In the Somme sector, the German front line was protected by two belts of wire thirty yards wide. 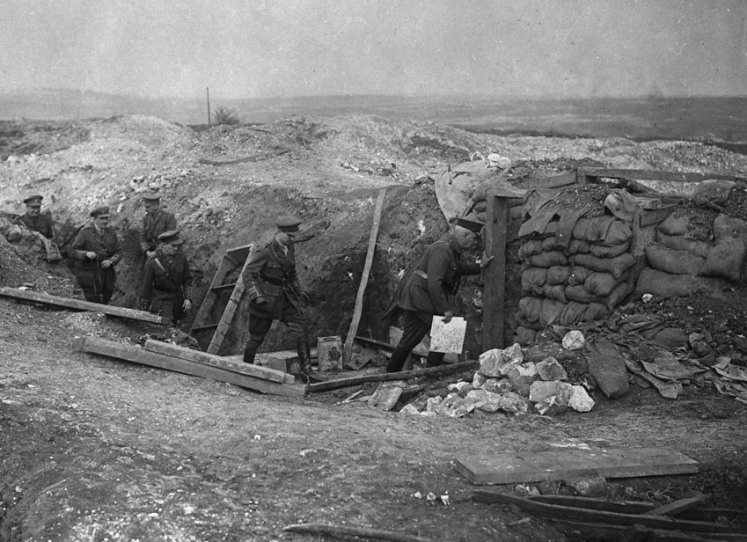 Three trenches comprised the German front-line, each about 150 yards apart, with the first trench housing sentry groups, the second holding the front-line garrison, and the third local supports. About 1,000 yards behind the front battle positions was an intermediate line of strongpoints. Between 2,000 and 5,000 yards away, the Second Position was built up along the Pozi�res ridge, wired in to the same degree as the forward trench system. Both systems also had dug-outs 20-30 feet deep capable of housing 25 men and proof against artillery fire. The French 6th Army was scheduled to attack to the right of the new British 4th Army, driving six divisions over a six-mile front, two north of the Somme and four south. The main assault on the Somme front would come from the British on a sixteen-mile front, with the 4th Army's thirteen assault divisions attacking and five divisions remaining in reserve. A corps of three divisions from the British 3rd Army to the left would make a subsidiary attack on Gommecourt to pin German forces down and draw away enemy reserves. As a deception, the British 1st, 2nd and 3rd Armies to the north of the 4th all begen simulating offensive preparations on their fronts during the month of June 1916. The Germans were not fooled, however, and the German 2nd Army, holding the sector north of the river, observed preparations for the actual attack beginning in February. 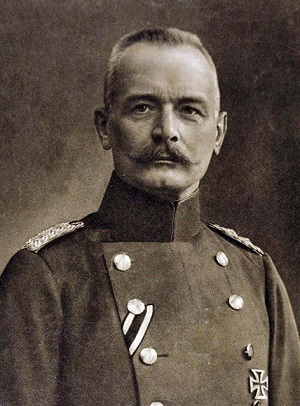 By 19 June Crown Prince Rupprecht was convinced of an imminent assault on the Somme front. Troops previously withdrawn to Verdun were partially replaced and the 2nd Guard Reserve Division was inserted into the Gommecourt sector as early as 23 May. On 1 July 1916 the line north of the Somme had five and two-thirds divisions supported by 598 light artillery pieces, 246 heavy guns, and 104 aircraft. The Royal Flying Corps "dominated the sky" over the Somme with an available 185 craft, but the British lacked heavy artillery with only 471 heavy guns and howitzers. Following a seven-day bombardment by 1,537 guns, the attack was launched at 07:30hrs on 1 July 1916.15 The French were lightly opposed and their six divisions reached objectives "with relative ease" and comparatively light losses.16 The Germans had concentrated their forces north of the river, permitting the French such easy passage. That concentration of forces made the day that much more difficult for the British. The right wing of the 4th Army's attack managed to take the forward German positions, but elsewhere only temporary footholds could be gained, and at tremendous cost, to be lost before night fell on 1 July. The barrage, interspersed with gas discharges, had managed to wreck German surface positions but did nothing to destroy the deep German dug-outs where troops were able to shelter and emerge unhurt as the British assault waves formed up in No Man's Land. Defective ammunition and shortage of heavy guns were blamed for the failure. British tactics, laid down by Army directive, called for linear formations and walking pace in order that the fresh recruits of the Territorial and "New Army" could be controlled by officers and NCOs. This had the unfortunate effect of making them perfect targets for German machine guns.17 All told, almost 60,000 British soldiers became casualties - the worst day in the history of the British Army. Elsewhere, Italy and Russia carried out their part in Allied grand strategy and the programme of coordinated operations in multiple theatres. Italy continued offensive action against Austria in August, taking Gorizia in the 6th Battle of the Isonzo while the Russians defended against a German counter-attack south of the Pripet marshes, then attacked themselves into Galicia in August. They too had success against the Austrians, driving them back in front of Lemberg, while in the south Russian forces made headway toward the Carpathian mountains. The enemy was forced to bring in reinforcements not only from the northern end of the Eastern Front, but from the west as well, even despite the demands of Verdun and the Somme. By 31 August ten German divisions had been shipped to the east, including one engaged against Romania who finally declared war on Austria on 27 August. The declaration of war by Romania, combined with German failures at Verdun and the Somme, led to General von Falkenhayn's dismissal. Despite his abilities (he had restored shaken confidence after German failure at the Marne, then led successful actions in the East in Poland and Galicia as well as bringing about Serbia's defeat) he was blamed for underestimating the western Allies and failing to exploit success in the east. Field-Marshal Paul von Hindenburg replaced him as Chief of the General Staff and soon became Supreme Commander of all armies of the Central Powers. With him came Lieutenant-General Erich Ludendorff as First Quartermaster General to share responsibility for conduct of operations. Erich von Falkenhayn, Chief of the General Staff of the German Army in the first two years of the First World War. Bundesarchiv photo. For most conspicuous bravery. He was detailed with his section of bombers to clear the continuation of a newly-captured trench and cover the construction of a �block.� After most of his party had become casualties, he was building a �block� when about twenty of the enemy with two officers counter-attacked. He boldly advanced against them, emptied his revolver into them and afterwards two enemy rifles which he picked up in the trench. One of the officers then attacked him with the bayonet, wounding him in the leg, but he shot him dead. The enemy then ran away, pursued by Acting Corporal Clarke, who shot four more and captured a fifth. Rawlinson's 4th Army was to attack with three corps aimed at Flers, Morval, Lesboeufs and Gueudecourt hoping to break through towards Bapaume. The Reserve Army was to protect their left flank, and the Canadian Corps and 2nd Corps were to secure Courcelette and exert pressure south of Thiepval. Seven tanks were employed by the Canadians - the Reserve Army's total allotment. 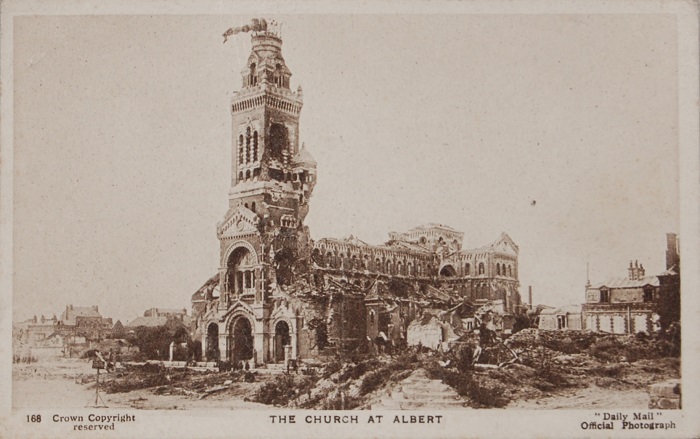 The first of two attacks began at 6:20 a.m. on 15 September 1916. The 4th and 6th Brigades of the 2nd Division attacked toward the village of Courcelette proper, aimed at Sugar Trench and Candy Trench with six tanks in support. The rolling barrage, advancing 100 yards every four minutes, was effective but the tanks did little of value due to mechanical difficulties and difficult terrain. The 2nd Division was able to quickly seize their objectives nonetheless despite resistance in a sugar refinery. The second attack of the day was ordered at 6:00 p.m. as General Byng kept up the momentum of the advance, securing the village itself. Two battalions of the 5th Brigade held on to the far end of Courcelette through repeated counter-attacks that night and into the next day. The Canadian Corps was faced with yet another series of attacks on German trench lines, this time a set of entrenchments dubbed Regina Trench by the Canadians. These attacks were to be the most futile and costly of all the Canadian efforts in the Somme fighting. Just two days after the exhausting fighting for the Hessian Trench, the 5th Brigade (2nd Division) and 8th Brigade (3rd Division) once again went into the attack on 1 October. The operation was a disaster, beginning with short-falling artillery plastering the jumping-off positions. The preparatory barrage also failed to hit the German lines, and German wire was not cut by the artillery in most places. Casualties were heavy during the assault as machine gun fire laced into entire assault companies caught up in No Man's Land. The few survivors that managed to reach Regina Trench were driven out or overwhelmed by German counter-attacks, and half the assault force was dead or wounded by day's end with no gain to show for their efforts. The 4th Army turned its attention on October to attritional fighting once more. Officially designated the Battle of the Transloy Ridges, the objective was the fourth German position, stretching along a ridge from Le Transloy north-westerly towards Ligny. Attacks by the 14th and 15th Corps made little progress during October, and a succession of both large set-piece attacks, and smaller assaults, failed to gain ground. 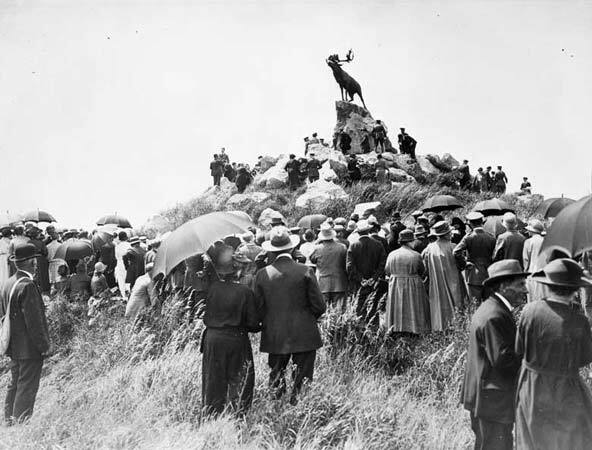 A notable exception was that by the Newfoundland Regiment on 12 October, returning to the line after their destruction on 1 July. 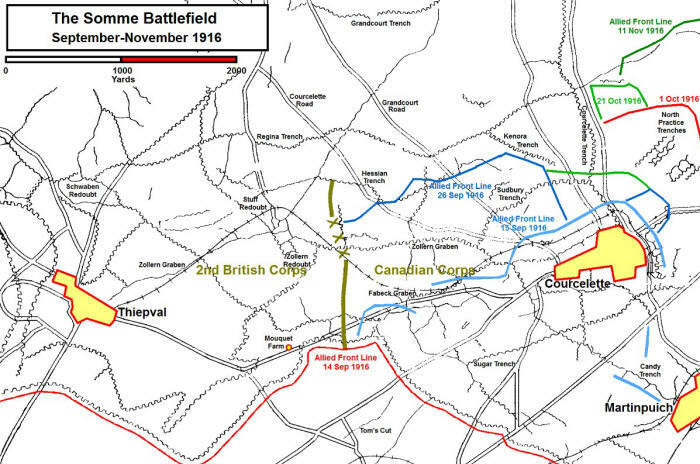 The Ancre Heights had been the last battle the Canadian Corps fought on the Somme, and on 17 October, the 1st, 2nd and 3rd Divisions moved north to a new sector of the front near Arras. North of the Ancre River, the 3rd Army had still not been engaged though the Reserve Army's 2nd Corps had completed the capture of Stuff Redoubt on 9 October and taken Schwaben Redoubt on 14 October. The 4th Army managed to take Le Sars on 7 October, opening the Battle of the Transloy Ridges, but afterwards only managed an advance of 1,000 yards north-east of Gueudecourt, the line otherwise remaining the same as it had been at the end of September. There seemed to be no chance of successfully fulfilling the operational plan, but General Haig, the British Commander-in-Chief, opposed relaxing their offensive stance, feeling the Germans close to the breaking point and a victory finally at hand that would make the sacrifice of the previous months pay off. He estimated that he had drawn 70 enemy divisions to the Somme, and 40 against the British (the German official history after the war shows he was nearly correct, admitting 38 divisions) while inflicting 370,000 casualties on them. He urged that their front-line defences lacked depth, and did not have the elaborate construction of the positions that had already been taken. Given sufficient reinforcements, supplies and ammunition, and average winter weather, Haig proposed there would be profit in continuing. The B.E.F. had been reorganized on 7 October, making the 4th and Reserve Armies self-contained forces capable of continuing offensive operations into the winter of 1916-17. The 3rd Army remained in reserve, with 3 divisions in training at any one time. Newly arriving divisions were tasked to go to the 1st and 2nd Armies. General Headquarters (G.H.Q.) was to keep an extra corps headquarters in reserve as well, to command the reserve divisions of 1st and 2nd Armies in an emergency. Meanwhile, General Joffre remained impatient with the pace of operations and the general situation on the Western Front. The Central Powers had stabilized positions in the east running from the Carpathians to the Pripet marshes while in Italy little headway had been made at the head of the Adriatic by the Italians, preparing for a ninth battle on the Isonzo. Romanian troops had been thrown back in Transylvania, and Bulgarian troops, with German and Turkish support, had advanced through the Dobrudja and taken Constanza on the Black Sea. Counter-attacks hoping to draw off Bulgarians to the Salonika front did little. 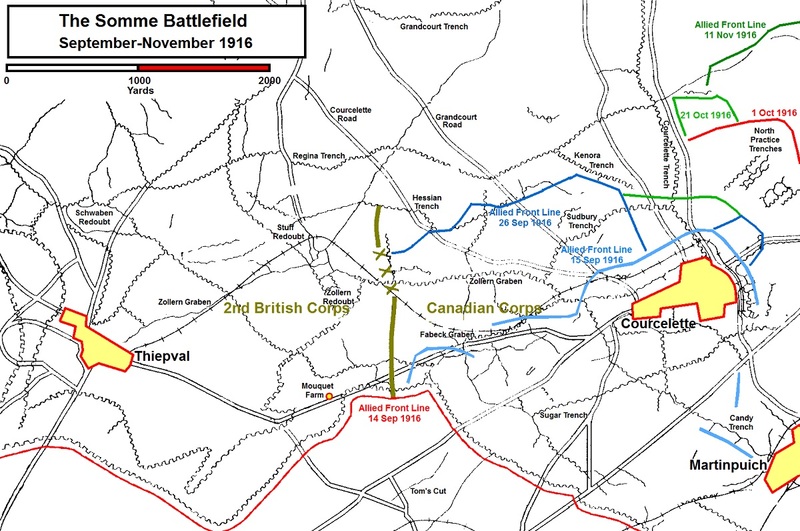 In all, a major Allied victory somewhere was needed and on 18 October, Joffre asked Haig to renew his Somme offensive on a broad front, as originally envisioned. Therefore, as Canadian divisions left the Somme, the 4th Canadian Division found the Battle of the Somme was only beginning. The division landed in France in mid-August, and began its front-line service on 25 August 1916. It remained in the north while the other three divisions moved to the Somme, and joined a temporary formation called "Frank's Force" on 3 September 1916 along with British, Belgian, and Australian artillery and miscellaneous units. This formation, named after the 2nd Army's artillery commander, held a 4.5 mile front that extended from a point west of Messines to the Ypres-Comines Canal. They were opposed by the German 26th Division along with elements of the 4th Replacement Division. Weather in the next ten days delayed any further operations and in fact it rained for 16 of the first 21 days the 4th Division spent in the front line. The condition of front line trenches was poor, and it was not until 8 November, and the arrival of cold weather, that it was dry long enough for further offensive action. The Reserve Army was at last renamed the 5th Army, having acquired services and staff to put it on equal footing with other formations of the B.E.F. British commanders were by now urging the Army Commander to either attack or pull forces out of the line to rest, feeling continuing postponements were unfair to the troops. The Commander-in-Chief felt a successful attack would have favourable effect on the Allied situation in Romania and Russia, and hoped for a victory to present at the Chantilly Conference. He approved another attack on the afternoon of the 12th. in front of Serre. Next day, in a thin mist, the forces immediately north of the Ancre advanced another 1000 yards to the outskirts of Beaucourt, a village one mile east of Beaumont Hamel. 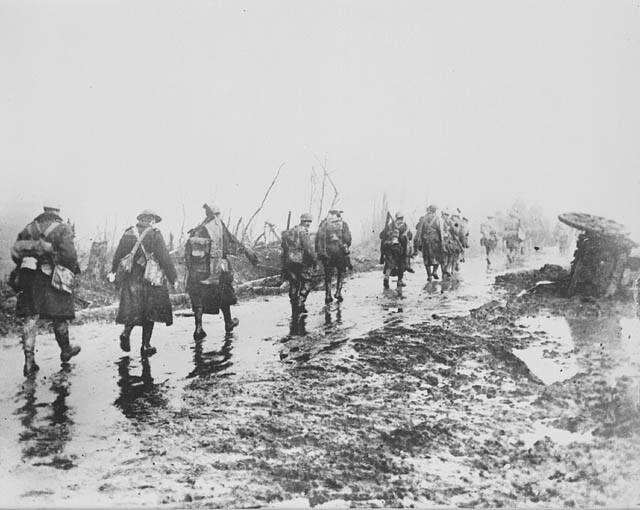 The 4th Division attacked on 18 November with two brigades into driving rain and sleet making use of heavy artillery and machine gun support as well as a smoke-screen supplied by the Royal Engineers. Mud and snow caused infantry to lose direction while artillery observers failed to spot targets. Nonetheless, the pre-arranged artillery support was finely coordinated and both brigades gained their objectives - the Desire (Dessauer) Trench in two hours. Over 600 prisoners were taken by the Division. Units on the flanks, however, suffered from small arms fire and were forced back. The 2nd Corps and 5th Corps both suffered heavy casualties during the day and were unable to continue the offensive. A threatened German counter-attack cancelled plans for a further advance by the 4th Canadian Division, who ended their presence on the Somme with a half-mile advance on a 2,000 yard front for the loss of 1,250 casualties, while inflicting about half that many prisoners in addition to large numbers of German killed and wounded. Even if the 2nd and 5th Corps had been capable of continuing, heavy rain fell the next day and would have called off further operations. At long last, the Battle of the Somme came to an end. and the mud, gaining what protection he could from a rubber groundsheet wrapped around him. Hip boots were issued to help guard against "trench feet", but often these had to be abandoned when their wearer became mired in the clay. For health's sake frequent reliefs were necessary, even though effecting these was an exhausting process. 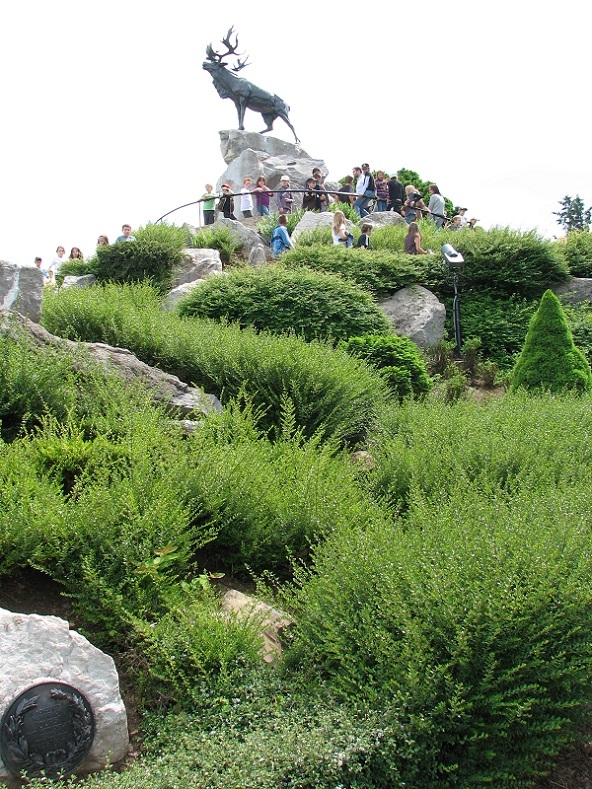 Towards the end of the Canadians' tour on the Somme infantry battalions had as much as eight miles to march to the trenches from their billets in Albert, and at least four miles from the nearest bivouacs at Tara Hill. "With the bad weather", reported General Watson to Canadian Corps Headquarters, "the men's clothing became so coated with mud, great coat, trousers, puttees and boots sometimes weighing 120 pounds, that many could not carry out relief." The conclusion thus reached by the British Commander-in-Chief was by no means unanimously accepted either during the war or afterwards. It has continued to be a matter of controversy. The failure to gain much ground and the heavy losses suffered by the Allied forces aroused considerable criticism both in France and the United Kingdom. Especially in question was the extent to which the Allied policy of attrition had succeeded in reducing the enemy's powers of resistance. Writing as late as 1952, the editor of Sir Douglas Haig's private papers declared that it "has probably by now come to be the generally accepted view of the Somme campaign" that it was "a costly failure which did far more damage to the Allied than to the German cause". Such criticism was based largely on a comparison of the casualties suffered by the German and the Allied armies. How valid is it? Unfortunately there exist no thoroughly reliable statistics, particularly with respect to German losses. Unofficial figures published shortly after the war gave British and French losses as more than double those of the enemy. In a memorandum submitted to the Cabinet on 1 August 1916, Mr. Winston Churchill charged that during the first month of the Somme offensive British casualties outnumbered German losses by 2.3 to 1. Later (in The World Crisis, 1911-1918) he set almost as wide a ratio for the whole of the Somme campaign. In similar vein Mr. Lloyd George asserted in his memoirs that on the Somme "our losses were twice as great as those we inflicted". These comparisons, unfavourable to the Allies, became widely accepted; and it was argued that Haig's intelligence officers in their attempt to balance the cost to each side had grossly overestimated the German losses. The British Official Historian took fully into account the difference in these systems of reporting casualties. 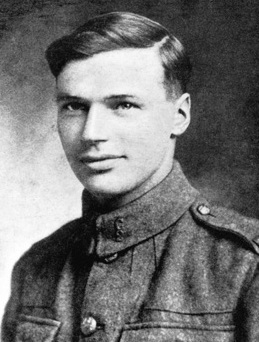 In 1931 (in his first volume dealing with the operations on the Western Front in 1916) he estimated that Allied casualties at the Somme were somewhat less than 600,000, and that German losses totalled 582,919.136 In 1938, however, after Germany had published official figures of 465,525 German casualties (against 700,000 British and French losses)137 he revised his estimates. He calculated that a fair basis of comparison would show the following gross figures (including prisoners and missing) for the contending armies for the whole of the Somme campaign: German (including the seven-day bombardment at the end of June), between 660,000 and 680,000; British, 419,654; French, 204,253; or an Allied total of 623,907. While the objectivity of these figures of enemy losses must be held in question, from the Germans themselves has come ample testimony to the heavy punishment which the Allies inflicted upon them. "The Army had been fought to a standstill and was now utterly worn out", admitted Ludendorff in his memoirs. The Allied offensive had sapped the strength of no fewer than 95 German divisions; 43 of these had been committed twice, and four had been thrown in three times.141 Unit and formation histories reiterate the story of the liquidation at the Somme of the old German field army. One infantry regiment after another, each nominally 3000 strong, records losses of from 1500 to more than 2800. Among these were the best trained and stoutest-hearted officers, non- commissioned officers and men. Their steadfastness and spirit of sacrifice replacements would never match. No wonder that in January 1917, Ludendorff was to declare at the conference which approved unrestricted submarine warfare, "We must save the men from a second Somme battle". It was largely this realization that caused the Germans, before the Allies could strike again, to renounce their policy of holding and recovering ground at all costs, and to retire to semi-permanent defences fifteen to thirty miles in the rear. "In the air the victory had been more complete", the historian of the British flying forces records. "From beginning to last of the battle the air war was fought out over enemy territory." The Royal Flying Corps made the most of its local air superiority - a happy situation which it was to enjoy all too infrequently during the rest of the war - to follow the British naval tradition of "seeking out and destroying the enemy wherever he may be found". The German tendency at this time was to over-emphasize fighters, using them mainly in a defensive role. The enemy's air policy remained a defensive one, while the R.F.C. continued to wage offensive warfare.